According to the book, Oopsy Daisy Cake got its name from a baker who accidentally put milk chocolate in the chocolate cake instead of dark chocolate. I know dark chocolate is “better for you,” but I just love milk chocolate. And then, to mix milk chocolate with peanut butter is pretty much heaven. 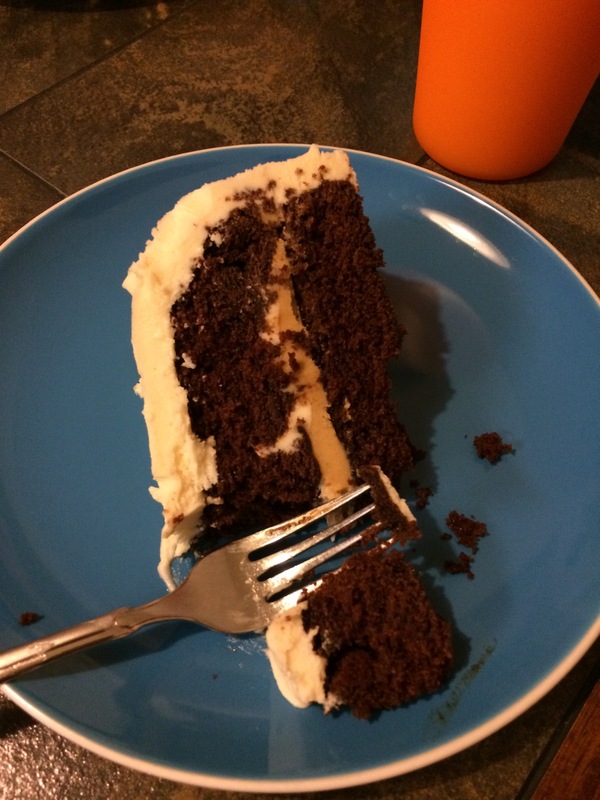 This milk chocolate cake actually has three parts to it – the cake, the peanut butter filling, and vanilla peanut butter icing. I was originally going to make the cake one night and the filling and icing the next night, but I ended up doing it all at once. While the cake was cooling, I made the filling. Then I put the filling aside and made the icing, which incorporates some of the filling. Putting it together was where I ran into a problem. 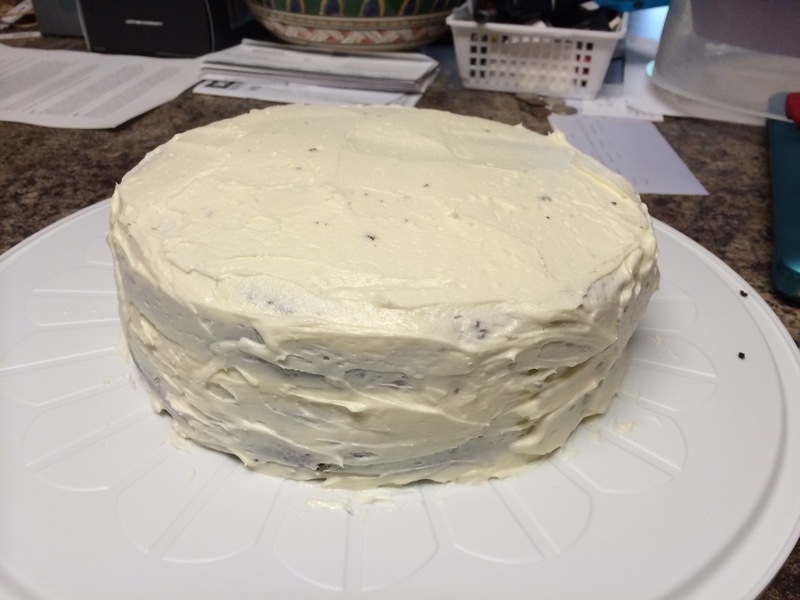 I have learned my lesson – never try to lift and stack cakes without refrigerating them for a while first! Although I elicited help from the birthday boy, the top layer broke. Frosting saved it, but it’s certainly not my prettiest cake! However, it did look pretty sliced! If you look closely, there’s a thin layer of frosting on top of the filling. I can’t say if that made a difference in taste, but it looked cool! The cake was enjoyed on three separate occasions – Keith’s actual birthday, which was a Friday, dinner at my in-law’s house on Sunday and a second birthday celebration with my parents on Monday. So unfortunately for Keith’s coworkers, there were no leftovers this time!